This student submission comes from my former student Michelle McKay. Her topic, from Precalculus: verifying trigonometric identities. Engaging students with trigonometric identities may seem daunting, but I believe the key to success for this unit lies within allowing students to make the discovery of the identities themselves. For this particular activity, I will focus on some trigonometric identities that can be derived using the Pythagorean Theorem. Before beginning this activity, students must already know about the basic trig functions (sine, cosine, and tangent) along with their corresponding reciprocals (cosecant, secant, and cotangent). Using this diagram (or a similar one), have students write out the relationship between all sides using the Pythagorean Theorem. Students should all come to the conclusion of: x2 + y2 = r2. From this newly derived identity, students can then go on to find tan2θ + 1 = sec2θand then 1 + cot2θ = csc2θ. 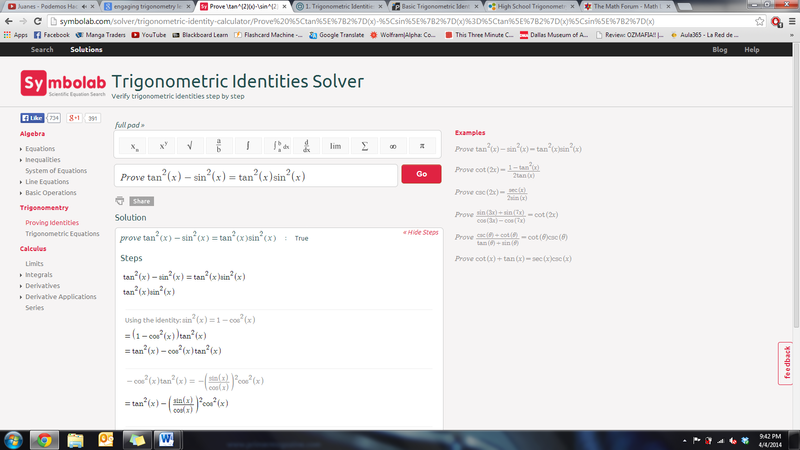 For engaging the students and encouraging them to play around with identities, I find the Trigonometric Identities Solver by Symbolab to be a fabulous technological supplement. Students can enter in identities that they may need more help understanding and this website will state whether the identity is true or not, and then provide detailed steps on how to derive the identity. A rather fun activity that may utilize this site is to challenge the students to come up with their own elaborate trigonometric identity. 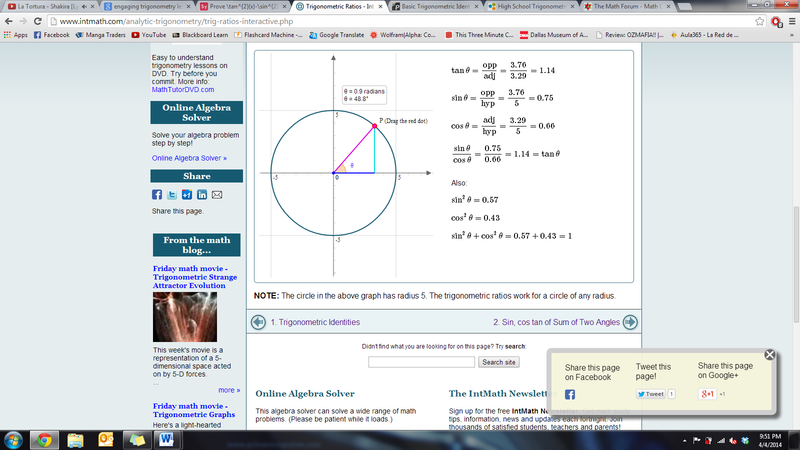 Another online tool students can explore is the interactive graph from http://www.intmath.com. In fact, students could also use this right after they derive the identities from the earlier activity. This site does a wonderful job at providing a visual representation of the trigonometric functions’ relationships to one another. It also allows the students to explore the functions using concrete numbers, rather than the general Ө. Although this site only shows the cos2θ + sin2θ = 1identity in action, it would not be difficult for students to plug in the data from this graph to numerically verify the other identities. The beginning of trigonometry began with the intention of keeping track of time and the quickly expanding interest in the study of astronomy. As each civilization inherited old discoveries from their predecessors, they added more to the field of trigonometry to better explain the world around them. The below table is a very brief compilation of some defining moments in trigonometry’s history. It is by no means complete, but was created with the intention to capture the essence of each civilization’s biggest contributions. – Earliest ideas of angles.- The Egyptian seked was the cotangent of an angle at the base of a building. Babylonians – Division of the circle into 360 degrees.- Detailed records of moving celestial bodies (which, when mapped out, resembled a sine or cosine curve).- May have had the first table of secants. – Chords.- Trigonometric proofs presented in a geometric way.- First widely recognized trigonometric table: Corresponding values of arcs and chords.- Equivalent of the half-angle formula. – Sine and cosine series.- Formula for the sine of an acute angle.- Spherical trigonometry.- Defined modern sine, cosine, versine, and inverse sine. – – First accurate sine and cosine tables.- – First table for tangent values.- – Discovery of reciprocal functions (secant and cosecant).- – Law of Sines for spherical trigonometry.- – Angle addition in trigonometric functions. 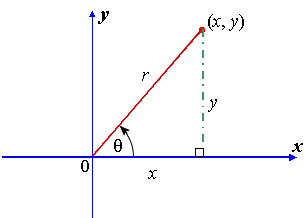 Germans – “Modern trigonometry” was born by defining trigonometry functions as ratios rather than lengths of lines. It is interesting to note that while the Chinese were making many advances in other fields of mathematics, there was not a large appreciation for trigonometry until long after they approached the study and other civilizations had made significant contributions.